The case has entered the final stages and the judge, Justice Dada was expected to pass judgment today but she came to court an hour late and after about an hour in court she adjourned the case again till 19th July for continuation. Meanwhile, earlier in court there was some tension between the UDP supporters and the police. Tension came when the police wanted to refuse people from entering the court room and the police wanting to use their usual tactics of force. However, the matter was amicably resolved and people were allowed to enter the court room without any further troubles in that front. The UDP youth leader was briefly arrested amidst the tension, but later released after the intervention of his fellow youths present at the scene. 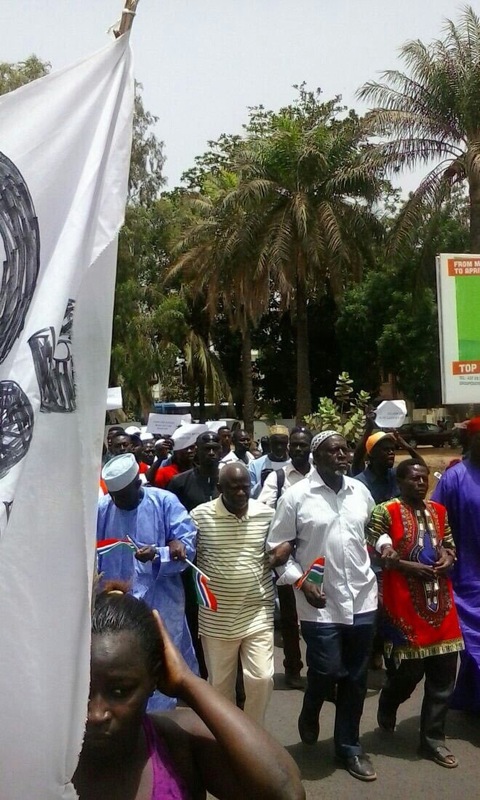 People are advised not to create any trouble but to maintain calm and peace as Gambia belongs to Gambians and not one particular individual.